Nowadays, Android smartphones come with default screenshot capture and screen recording option mostly from the Custom Skinned UI manufacturers. While the stock Android devices only offer capture screenshot with the combination of Volume Down + Power button. But what about the screen recording option? Recently, Google Android Developers has been introduced Android Q Beta first build for the Pixel device users. 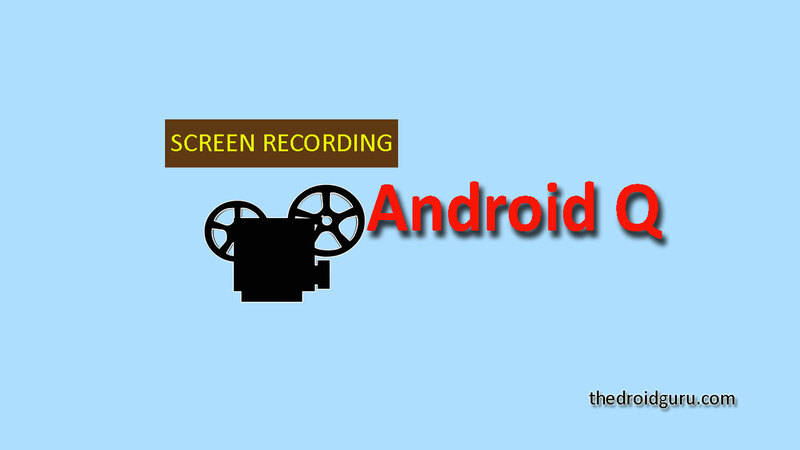 Here in this guide, we will share with you How to Enable Screen Recorder on Android 10. The Android Q Beta does come with a built-in screen recorder option which was missing up to Android 9 Pie Stock OS. Now, you can record your device screen as a video and share with your friends and families. This feature is quite useful and recommended as well for an avid smartphone user. The start and stop screen recording option are quite simple and basic on Android Q currently. There is no need to implement any extra task or install third-party apps anymore on Android 10 running devices. However, it’s a beta build and will take much time to roll out all the eligible devices, the feature will be improved in the future. But, the option is disabled by default. You have to enable it manually from the device Settings. Follow the easy steps mentioned below to take advantage of this useful feature. Go to device Settings > Turn on the Developer options on Android 10. 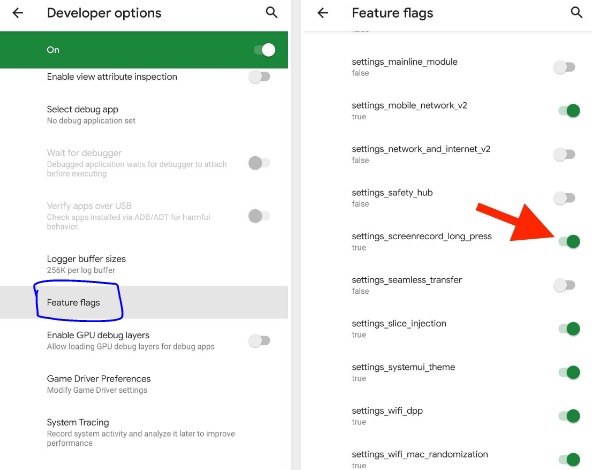 Now, you will find the option called Feature flags into the Developer options quite easily. Tap on the Feature flags and turn on the toggle of settings_screenrecord_long_press. You’ve successfully enabled the Screen Recorder on your Android Q. Now, long-press the power button to appear the Advanced options > select Screenshot > then tap on the Start Recording > Start Now option and you’re done. You can stop or pause the recording from the notification panel quite easily. Forget any other third-party screen recording apps which are quite buggy and full of annoying ads. As we all know that these types of screen recording or video or voice recording third-party apps are quite harmful in terms of the users’ privacy protection. You will see this native feature on Android Q Stable version very soon.